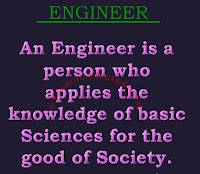 In India, Engineer's day is celebrated on September 15th of Every Year. This day is celebrated in the honor of Mokshagundam Visvesvaraya (1861-1962), who was a notable Indian engineer, scholar, statesman and the Diwan of Mysore during 1912 to 1919. Internationally recognized for his genius in harnessing water resources, he was responsible for successful design and construction of several river dams, bridges and implementing irrigation and drinking water schemes all over India. He served as the chief engineer during construction of Krishna Raja Sagara Dam on the Kaveri River near Mysore. He also built many dams in the Bombay presidency (present day Maharashtra). The dams built by him are still functional even today, a testimony to his brilliance, skill, honesty and dedication. So 15 September, Engineer's Day is quite a remarkable tribute to the greatest Indian Engineer Bharat Ratna M. Visvesvarayya. 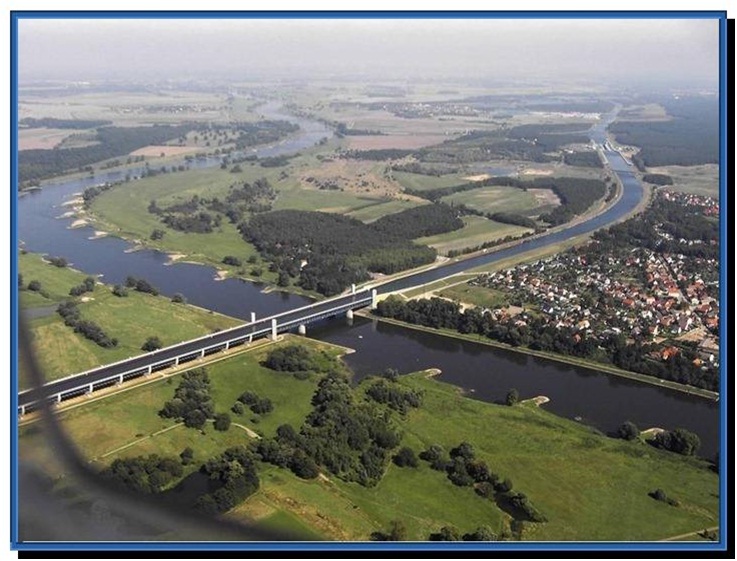 The Magdeburg Water Bridge is a navigable aqueduct in Germany that connects the Elbe-Havel Canal to the Mittelland Canal , and allows ships to cross over the Elbe River . At 918 meters, it is the longest navigable aqueduct in the world. Even after you see it, it is still hard to believe! 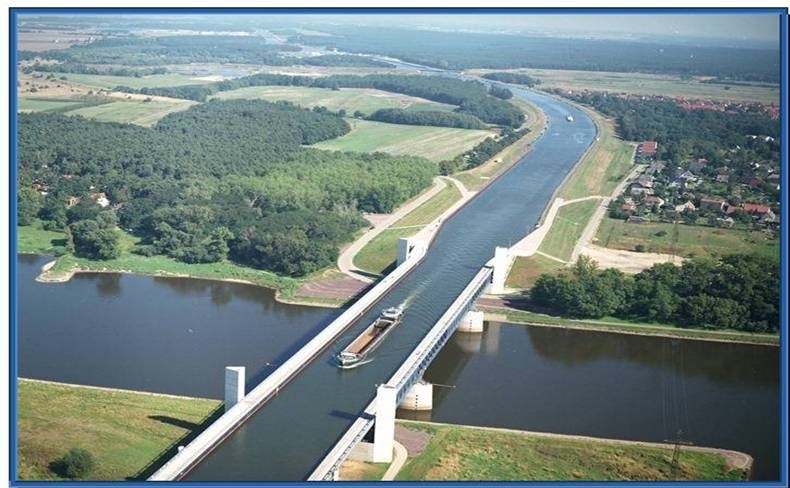 Water Bridge in Germany - - What a feat! - - Six years, 500 million euros, 918 meters long . 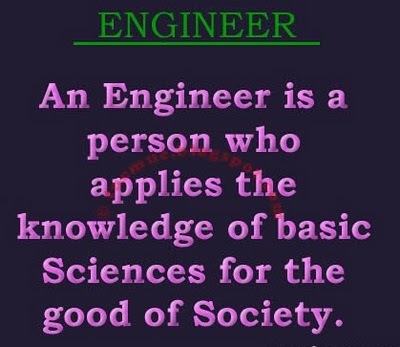 . . now this is engineering! 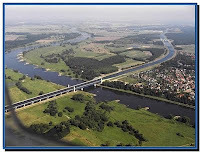 This is a channel-bridge over the River Elbe and joins the former East and West Germany . As part of the unification project. It is located in the city of Magdeburg , near Berlin . Construction of the water link was started as early as in the 1930s but due to the World War 2 and subsequent division of Germany the work remained suspended until 1997. The aqueduct was finally completed and opened to the public in 2003. The photo was taken on the day of inauguration . . . When you stop and think about this, this is just amazing! good one and want see working photos of that work. Thanks for sharing the Useful information !